The following websites offer credible information on dental care for individuals with special health care needs. Approximately 43% of Americans lack dental insurance. Tooth decay is an infectious chronic disease, which is also 100% preventable. Nearly half of all US adults have some form of periodontitis. In the US, more than 51 million school hours are lost each year due to dental disease, leading to increased educational disparities. More than 500 medications negatively affect the oral cavity. 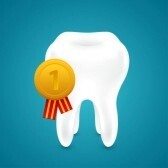 Tooth decay is the #1 chronic childhood illness. Left untreated, dental disease can lead to malnourishment, bacterial infections, required emergency surgery and even death. Even individuals with dentures should receive a dental exam at least annually. A routine oral health exam can detect signs and symptoms of many health conditions. In the US, 164 million work hours are lost each year due to dental disease, leading to decreased productivity.